With the first SailGP event due to take place on Sydney Harbour on 15 – 16 February the United States SailGP Team’s F50 took to the waters of Sydney Harbour for the first time. 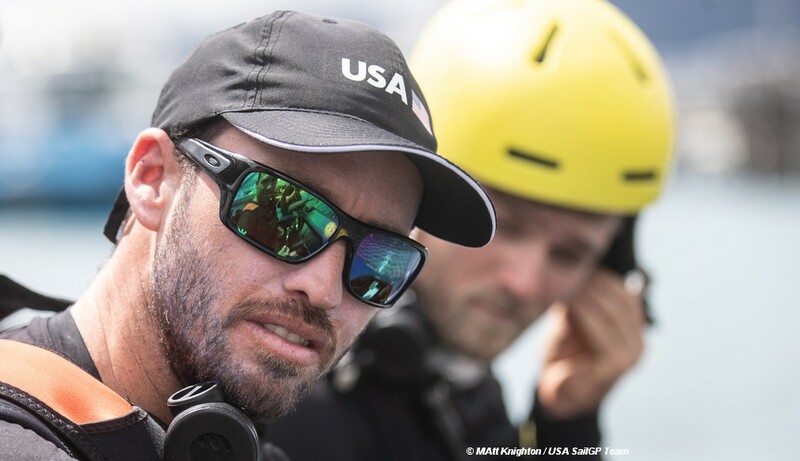 Earlier the USA team announced that Taylor Canfield, World Match Racing Tour champion and helmsman for the 36th America’s Cup challenger, Stars + Stripes Team USA, has joined the squad as flight controller/tactician. The USA SailGP squad comprises of Kirby (29), Canfield (30), Dan Morris (31), Mac Agnese (24), Hans Henken (26) and Riley Gibbs (22). SailGP’s Sydney inauguration event takes place in February (15-16), after which SailGP will move on to San Francisco in May (4-5), followed by New York in June (21-22) and Cowes in August (10-11). The Marseille final in September (20-22), will feature a winner-takes-all, $1 million championship match race between the season’s top two teams to conclude three days of racing.